A conservatory is one of the best home improvements you can make to your home, adding value as well as a wealth of space and light. With the current housing market in decline, more and more homeowners are looking to conservatories as a viable way to improve their property. And despite conservatories being renowned for their durability and resistance, especially with aluminium or uPVC frames, inevitably something will crop up that needs to be fixed. Whether there needs to be a conservatory repair to the roof, glazing or frames, it’s best to call in the professionals so the problem can be rectified as soon as possible and you don’t end up having to pay out more over time. In particular, you could find problems with hardwood conservatories later down the line, especially with rotting, warping and bowing. This is why maintenance should be taken seriously and you need to take action early before the problem escalates. Conservatory repairs are a necessity to ensure your installation lasts longer, without needing to pay out for a full blown replacement. Correcting a problem early is the best way to avoid paying out more than you need to. It’s not just a conservatory repair you can make though, and it’s possible to have a conservatory makeover to add to the energy efficiency. Making your home energy efficient is crucial in this day and age, with the cost of bills rising year-in year-out. By improving the insulation with updated windows you’ll be able to save money every year on your heating expenses. Conservatory repairs are crucial to ensuring the upkeep of your installation and making sure it lasts for years in a great condition. If a problem has sprung up that needs correcting, why not complete our quick form. 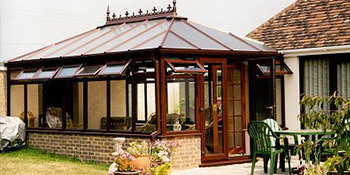 We’ll then provide you with up to four FREE conservatory repair quotes from local, vetted and reputable contractors. Enjoy your conservatory once more in all its former glory and make the most from your property. Project: Currently have Ultralite 500 (plastic) roof on lean to conservatory with low pitch. It is about 25 years old and would like to replace if possible with polycarbonate roof. Project: We would like an upgrade polycarbonate roof for our concervatory. Excellent job done efficiently completed inside time expected.I was kept in touch at all times.manner courteous and professional.adl will return to check on job satisfaction later.Thank you. Quottatis supplied many recommendations.All were courteous and helpfull and I chose one of them.